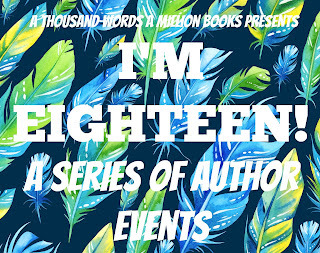 I might have promised you on Twitter that this festival (series of author NINE events and giveaways) would go up on the day I turned eighteen, but I have LITERALLY been buried under a pile of college work and birthday parties. Last night, I pulled my FIRST college all-nighter and I STILL DIDN'T FINISH MY WORK. And it happens every time my age is a multiple of nine! HOW COOL IS THAT? 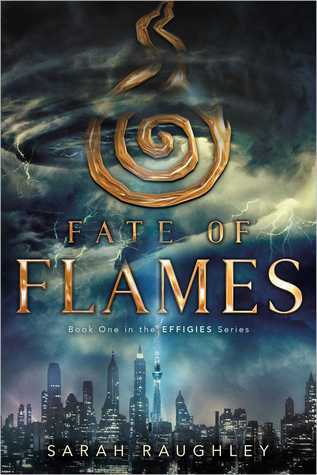 Anyway, the first author we have with us today is the absolutely WONDERFUL Sarah Raughley, whose latest fantasy series titles Fate of Flames (Effigies #1) comes out this November from Simon and Schuster! She's here answering some questions and her AWESOME publisher is giving away an ARC of Fate of Flames to one of you lucky people! I would love to go to Rome for the food culture and Tokyo for geek purposes. I'd also love to go to Vegas for the hell of it. 2. How Do You Arrange Your Bookshelves? Whether it's online or offline, I'm very messy and don't have any method of arranging my books. They just go wherever there's space lol. Fiction and academic books alike. I admit it makes it harder to find things. Why-can't-we-have-both.gif, but I'll say Italian food. I’ve always been a fan of the whole 'magical girls fighting monsters' trope even before I knew it was a television genre. I've had ideas for stories involving the trope before ever since I was a kid, but a few years back, I started to think how awesome it would be if there were girls who, unlike those typical of the superhero/sentai genre, HAD no secret identity, and who had to battle monsters out in the open, dealing with traditional and social media, online fandoms etc. The Effigies Series brings together action, magic and tech, but filters all this through a very familiar world. Most of all, the series focuses on female characters. They are very human and flawed, and they don't always get along, but the comradery between them is put at the forefront. Well, Feather Bound was a stand alone, so it was a bit easier to write, and a faster process. It was meant as a kind of fable or fairytale, but a dark and twisted one happening in our contemporary world. For that book, I didn't focus too much on the details of how swan maidens existed any more than the Brothers Grimm worried about how witches and fairies came to exist in the world of their tales. It was more about how the characters dealt with this fantastical situation in their everyday lives. Fate of Flames, however, is part of a much larger world so there were more details and characters and backstory to keep track of. Also, when you've got three books to write, you need to figure out what to reveal and in which book. So ultimately, there was more involved with writing Fate of Flames. Maia: You put waaay too much pressure on people who are no more or less human than yourself. Chill! Lake: Running away won't make the phantoms disappear - stand and fight! Chae Rin: Control your temper when the cameras are on! Belle: No matter how hard it gets, trust in the other three. They've got your back. Blurb Description: Four girls with the power to control the elements and save the world from a terrible evil must come together in the first epic novel in a brand-new series. Sarah Raughley grew up in Southern Ontario writing stories about freakish little girls with powers because she secretly wanted to be one. She is a huge fangirl of anything from manga to SF/F TV to Japanese Role Playing Games, but she will swear up and down that she was inspired by Jane Austin at book signings. On top of being a YA Writer, she is currently completing a PhD in English, because the sight of blood makes her queasy (which crossed Medical School off the list).